The North Fork of the Feather River is comprised of a series of dams and powerhouses starting from below Lake Almanor at it's highest elevation to its lowest dam, Poe Dam. The NFFR system provides a major source of electrical energy to the valley. 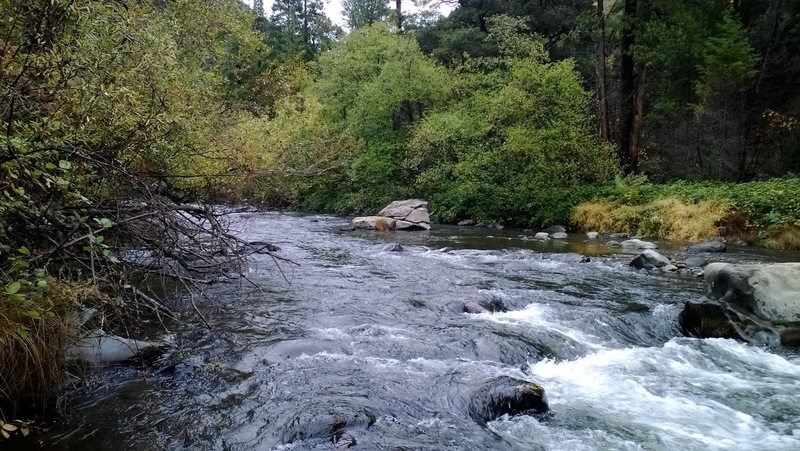 Several important tributaries that feed the NFFR are: Spanish Creek, Indian Creek, Yellow Creek, Chips Creek, Rock Creek, Bucks Creek, and Grizzly Creek. 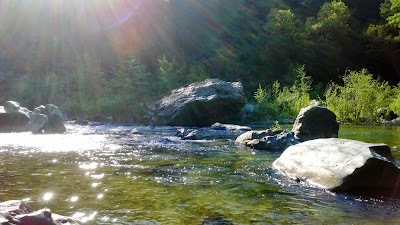 The NFFR is easily accessible along HWY 70 and is my second favorite river to fish. 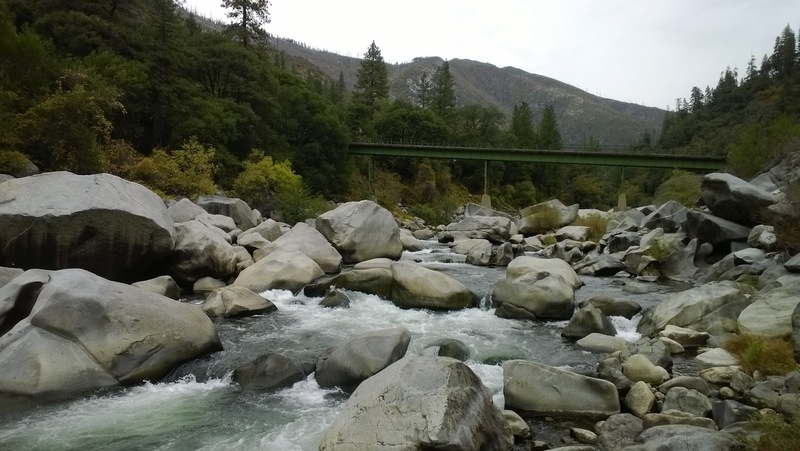 The Upper North Fork of the Feather River above Lake Almanor will not be mentioned in this post. A) From below Lake Almanor downstream to Belden Bridge. B) From Belden Bridge downstream to Cresta Powerhouse. C) From Cresta Powerhouse downstream to Lake Oroville. There are several access points and turnouts along HWY 70 where you can park and hike down to the river. I will focus on the key access points that are more popular. The first and most accessible stretch is from Belden Forebay to Belden bridge. Caribou Road follows the NFFR and provides several turnouts and campgrounds where anglers can easily access the water. This section of the river is a put-and-take fishery that is stocked during the summer with catch-able sized rainbows. This section is the only section of the NF where you can keep fish. Like most put-and-take fisheries, if this stretched is overfished expect a very slow day. This is the easiest stretch of the NFFR to wade. There are many pools and pocket water that will hold both wild and stocked holdover fish year around. The small town of Tobins and Storrie along HWY 70 is the next best access point. There are several turnouts on the southbound lane of HWY 70 where you can park and access the river. 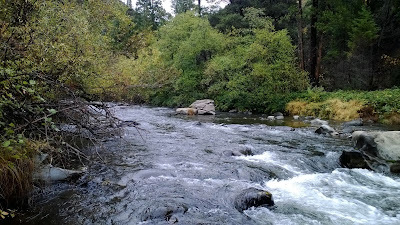 This stretch contains the fast, deep, boulder-infested, pocket water that makes the NFFR so fun to fish. This is my favorite part of the river. Be cautious and careful when fishing this stretch of the river. 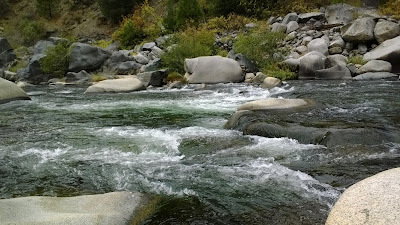 The stretch of the NFFR that flows along the small town of Pulga is the last access point to the North Fork. I am unsure whether or not Pulga Road is still accessible to the public. The town of Pulga changed ownership in 2015 and has been revitalized as a vacation property. Due to the Camp Fire I'm almost certain this section is closed until the area is fixed up. Park on the gravel at the very end of Pulga road and do not park across the railroad tracks. Caltrans and Union Pacific uses this road very often so please do not block the road. This is one of the few stretches of the river where you can wade around if you choose to do so. Similar to the Pit River, expect chest high wading and slippery boulders full of snot. During the winter these trout will be lethargic and feeding on small BWOs and midges. If there is enough surface activity during warm and overcast days in the winter, these trout can be caught with small midge and BWO dry fly patterns. 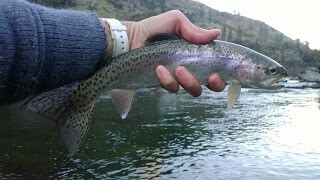 Look for winter bows in the slower sections of the river. The water is super cold during the winter so dress according. In the spring, caddis, mayflies, and stoneflies will start becoming active. The first insects that will begin emerging will be mayflies followed by caddis and then golden stones by May/June. March - June is the best time to fish the NFFR before it comes too warm. Spring time is the best time of the year to throw dry flies on the NFFR. With adult caddis and golden stones fluttering around the river, the trout will be looking up for them. Swinging emergers for a nice strong tug is also a very successful tactic this time of year. Summer time has arrived and you missed all the action... 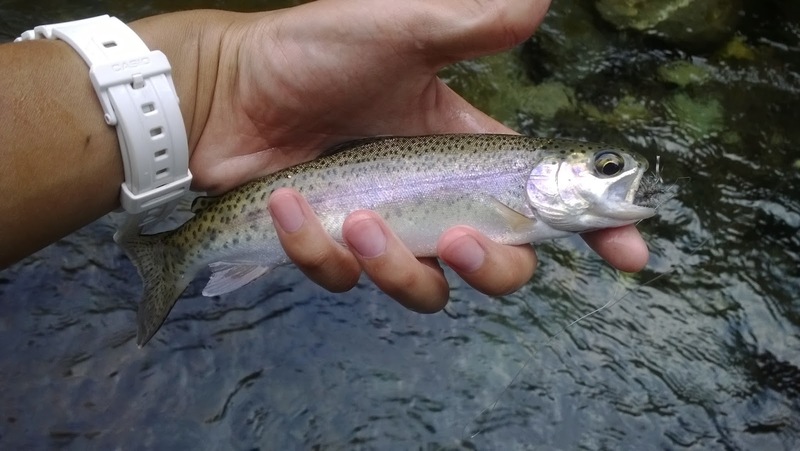 The water temperature can warm up to the mid-70° mark which is not ideal for trout. Your best option this time of year is to either fish below the tributaries that provide cold water, fish the fast and oxygen rich water, or give the NFFR a break and fish its many tributaries. 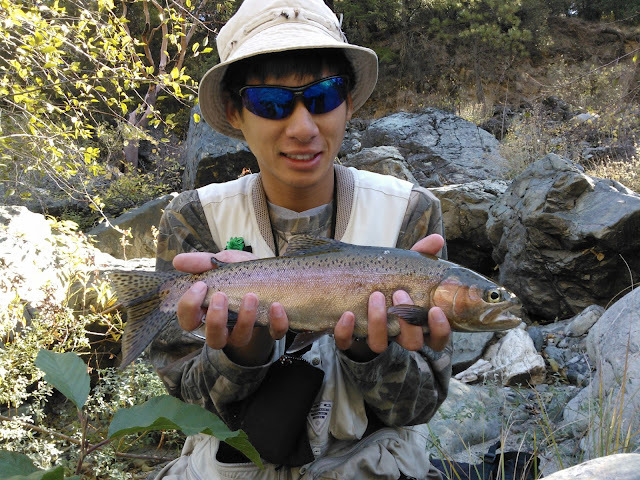 The fall is the best time of the year to fish the NFFR. The NFFR's biggest attraction use to be the isonychia/slate drake hatch in September through November; however after years of getting flushed downstream from high flows, this hatch is no longer as prominent as it once was. The fish will still key the isos but not to the degree that they use to. Strategies that were successful in the spring will also work for the fall. Just change the bugs around a bit. Don't be so surprised when you find that you have the whole river to yourself. The NFFR is a tight-line nymphing paradise. Indicators will still have their place in your vest but for the most part you won't be needing them. The trout in the NFFR love to feed in the fastest most oxygenated water therefore you need to get your flies down and fast. 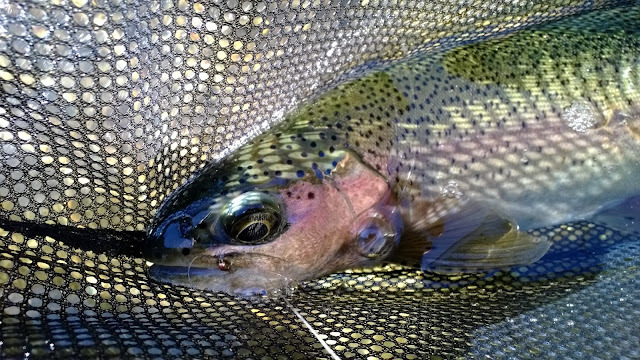 To find these rainbows, fish the fast white water riffles, soft seams, and deep runs. Remember to adjust your weights in order to get to where the fish are. 90% of the fish are in 10% of the water. Many areas of the NFFR look like they hold fish but don't. Keep moving until you find them. Do not underestimate this river! Most of the NFFR is made up of very deep holes and runs surrounded by boulders the size of small cabins. Boulder hopping and bushwhacking is the primary method of getting up and down the river. Make sure you are fit enough for this fishery as it is not easy to get around the river. There are thorny blackberry bushes, rattlesnakes, ticks, and all sorts of nasty surprises hiding in the boulders along the bank. Take each step carefully and always plan one step ahead. 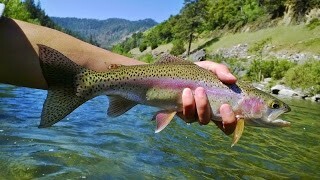 NFFR rainbows get their big shoulders from bucking heavy current all year around and will give you a good strong fight. 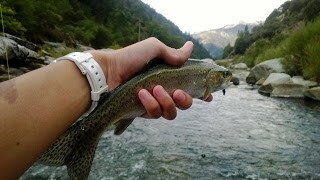 Landing these beautiful bows can be very tough especially if your fishing the faster and deeper runs or riffles. These fish will run into crevices, make you chase them downstream, and may put you in a spot that you don't want to be in. Once hooked, plan on how you are going to land the fish. Leading the fish into slower moving slots is a good strategy. PG&E's Feather River Canyon "Stairway of Power"